At present money transactions from one person to another person go through financial institutions such as banks. The invention of cryptocurrency allowed user to user transactions without the need of intermediary institutions. Through cryptocurrency, users can directly send money to other users. The first cryptocurrency, Bitcoin was invented by ‘Satoshi Nakamoto’ in 2009. No body knows whether this Satoshi Nakamoto is a woman or man or a group of persons. No body knows who is Satoshi Nakamoto. And This bitcoin is built using blockchain technology. There are a limited number of coins. And Every bitcoin has a unique code. Every transaction of the coin is stored as a block, and all the transactions for the particular coin are connected like a chain, and hence the name blockchain technology. And all these details are available in a public ledger, which anyone can check. For every coin, we can know the transactions of its exchange. 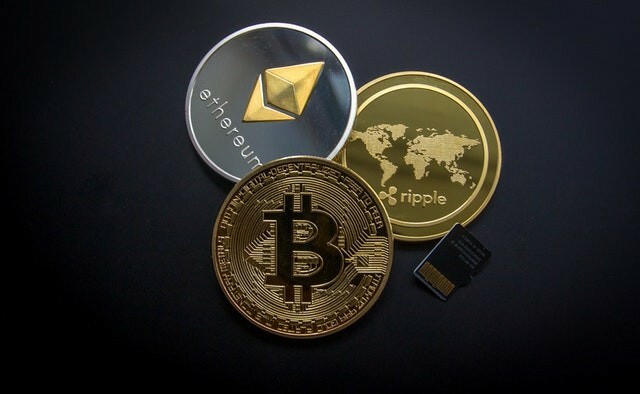 After the invention of bitcoin, many similar cryptocurrencies such as Etherum, Ripple came into existence, because the code of bitcoin is open source. Anyone can read the code and make their own version of cryptocurrency with their own modifications. Cryptocurrencies do not have regulatory bodies, it’s a decentralised currency. So, the transactions require much lower fees. Every transaction will be recorded in a public ledger, and it is almost impossible to modify these details by hacking, because if someone modifies the details in one block, other blocks that are connected to it will not accept the modification. To make it work, one has to hack all the blocks in the chain, which is impossible at least now. So, it is a step towards ensuring transparency and security in financial transactions. Cryptocurrency can be a good alternative for the countries which have weak economies. Because weak economy results in the fall of currency value. Then they have to pay more money to other countries for trade, services etc. But if they use cryptocurrency as an alternative currency, they can avoid this situation to some extent, because the value of cryptocurrency depends on international demand.and not on the national economy. The value of cryptocurrency is highly volatile, because its value depends on its demand. Cryptocurrency has no value in itself. It’ll have value only if there is a demand for it. For example, if 1000 members want to buy bitcoins, its value increases. And at the same time if 1000 members sell their bitcoins to invest in another cryptocurrency for example Ethereum, the value of bitcoin will decrease. So, we cannot trust cryptocurrencies. In public ledgers, which contain information regarding transactions, personal information is hidden. We cannot know the details of persons who did the transaction. Because of this, cryptocurrencies are being misused for illegal activates such as drug dealings etc. There are no uniform international laws. Some countries such as India, Canada imposed banking ban on cryptocurrencies, which means they banned banks from dealing with cryptocurrencies. There is no regulatory body, which is an advantage of cryptocurrencies because it allows decentralised transactions, but it is also a disadvantage. If you lost your virtual coins, nobody can retrieve them for you. There is no responsible authority. For example recently in February 2019, Gerald Cotten, the CEO of Canadian crypto currency exchange platform Quadriga died a sudden death. He is just 30 years old. Only he had access to the passwords of thousands of accounts that his company is managing, which accounted for 137 million dollars. Now, this company’s clients are at loss. They cannot retrieve this money without knowing password. See, this is the problem of absence of regulatory body. As per reports he kept access of passwords to himself because hackers have been stealing cryptocurrencies. According to the “Cryptocurrency Anti-Money Laundering Report”, In the year 2018, hackers stole cryptocurrencies worth 1 billion dollars. So, cryptocurrencies are not that safe as it was thought. Cryptocurrencies are still in the initial stages and the technology is constantly evolving. So, if cryptocurrencies are evolved in such a way that the loopholes are solved, they may compete with the formal financial institutions. But at present many people are looking at cryptocurrencies as an investment option with the expectations of becoming rich rather than the intended purpose of money transactions. This is resulting in the high variations in the value of virtual currencies. If this situation continues, cryptocurrencies may disappear in the near future. Even if cryptocurrencies face extinction, It is a very useful innovation mainly because of the blockchain technology it brought. Blockchain technology is very useful technology not just for financial sector but also for many other sectors such as medical field etc. In banking sector, implementation of blockchain technology can solve the issue of money laundering because every transaction is connected. What are your thoughts on cryptocurrencies? Do let us know through the comment section. And subscribe to our blog to read answers to trending GD topics.